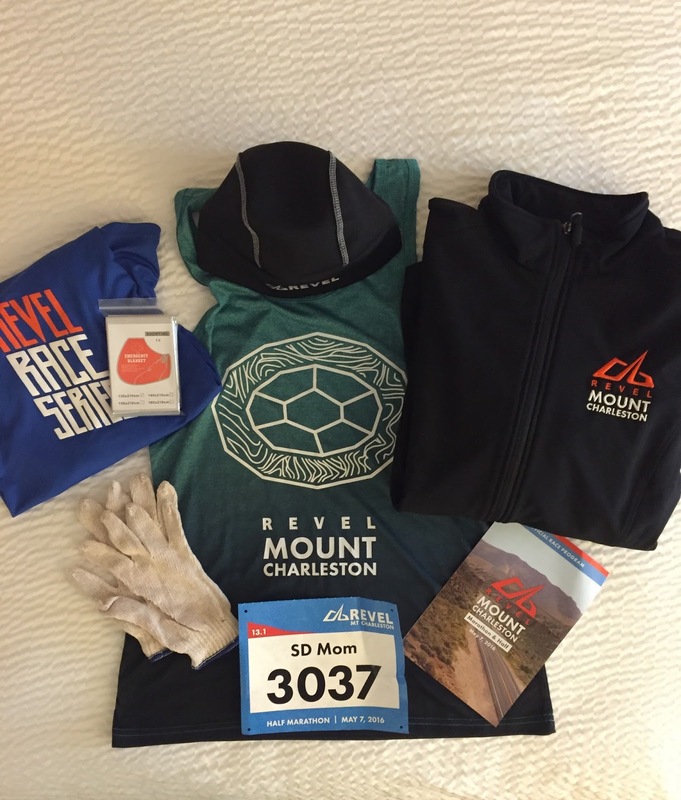 Running with SD Mom: Revel Mt. 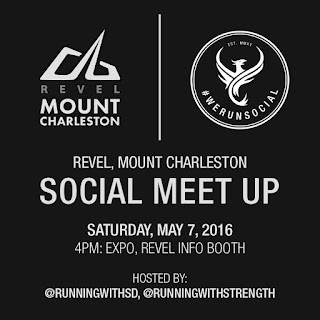 Charleston Expo and We Run Social Meetup! Revel Mt. 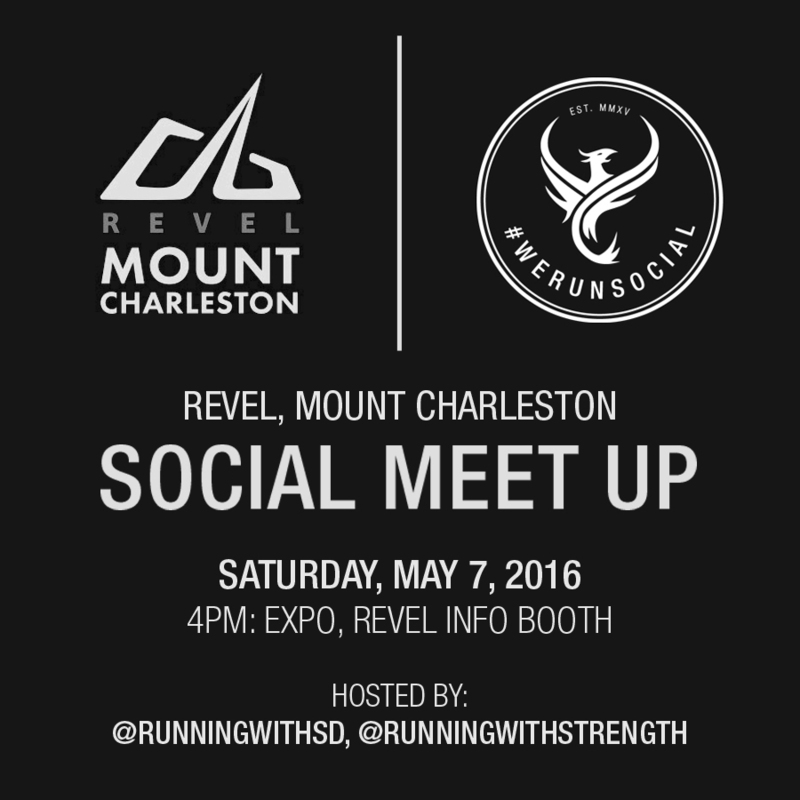 Charleston Expo and We Run Social Meetup! Yesterday, I brought you my Revel Mt. Charleston race recap. Did you read it? Today, I am telling you about the day and hours leading up to the race and everything you can expect from a We Run Social meet up and a Revel Expo! So as a Revel Race Series Ambassador, I have the opportunity to get an in depth behind the scenes look as a volunteer at the Expos! I signed up to work the information booth on Friday morning. But wait! Let's start with Thursday and my 4:15 a.m.l wake up call so I could run the trails with Angela at 5:00 a.m.
We recently started running together and I already adore her! Fun fact: We are 7 days apart! Then I went to work and after dinner, Steph came and picked me up! She agreed to drive all the way from San Diego to Vegas with me. And when I say I have never met a sweeter person, I mean it! Even though we only got to the hotel at midnight, she woke up early with me to drop me off at the Expo the next morning! I worked at the Info Booth with fellow Revel Ambassador, Nikki! I met some others too! Like Neil and Paul! Paul is the guy in blue and designed the virtual training program for Revel! I took my requisite solo bib picture. And one with Barbara, who drove all the way from Phoenix to run this with me! And then it was time for the We Run Social Meetup! I was co-hosting with the awesome Kindal, a fellow Pro Compression ambassador! I met JJ who lived in San Diego and now lives in Vegas. Small world right?! And finally met up with George, Colleen, Jim, Katie, Steve, Patricia, Paul and Stephen! Love We Run Social friends! A smaller group but we all enjoyed milling about and chatting about our goals and hopes for this race! Katie ended up as second female OVERALL! FAST mama! Revel always has the best swag! They gave every runner a beanie, gloves and a Mylar blanket. I got the cool blue Revel race series shirt for volunteering. It is a tech long sleeve! Awesome right? I upgraded the race shirt to the tank for $5. I LOVE the color - black fading to green! And I got a soft shell jacket! Nice haul - you would agree! Barbara, Steph and I went to dinner, toasted with ONE beer and went to bed. With alarms set for 2:45 a.m. and our clothes laid out! We had a feeling the race would be a good one! If you haven't already, head over and read my race recap! So have you ever volunteered to work a race expo? Have you been to a We Run Social meet up? I want to hear your experience! Love the jacket! Sounds like a blast! I love my jacket too. Mike says I will never wear it again. We shall see! How fun! I worked the Big Sur booth the other mth while I was in Dallas and enjoyed it. I would like the tank top too. I wear them more than race shirts. That was nice you had that option. I love volunteering! I always volunteer every year at Ragnar too! Just last week I was saying I was over race shirts, I wanted hats and jackets. Do you think Revel is tapping into my brain waves? Looks like lots of fun. I've volunteered at races but never worked an expo. Love that you could upgrade the race shirt to that cool tank! I'm drooling over that swag! I've only volunteered in an expo booth helping someone sell skirts, but it was a lot of fun!